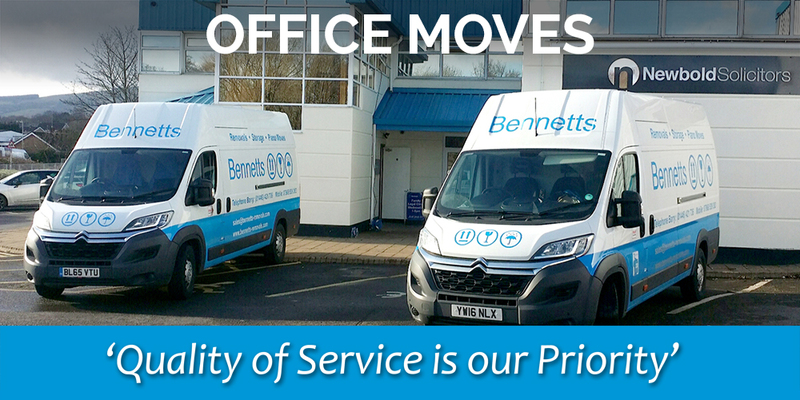 Bennetts Removals of Barry specialise in office relocations across the UK. We understand that when it comes to your office relocation, time is money. That's why our experienced team will use their high level of training and considerable experience to ensure that minimal downtime occurs during the relocation process. A successful office relocation relies on an effective partnership between all parties at an early stage. At Bennetts Removals, we're well-versed in gaining a full understanding of the needs of our customers, enabling us to precisely plan and execute your relocation, ensuring the job is completed correctly, on time and within budget. No matter what size your workforce, Bennetts Removals of Barry is the ideal choice when you need a professional, reliable company to carry out your office relocation. With secure storage facilities available for your use during your office relocation, you can rely on us to provide a safe, effective removals solution every time.